Go Vegan. For Your Health, for the Environment, for the Animals, but Mostly for Me. Two years ago, January 4th, I was a chicken-wing-consuming-steak-grilling-poached-egg-eating-milkshake-drinking omnivore. Two years ago, January 5th, I became a vegan. It wasn’t easy. In fact, it was downright torture at times but I persevered. Reflecting back on this New Year’s Eve, I can honestly say it was the best decision of my life. For my health, for the environment, for the animals, but mostly for me. In the process I became more aware of the health benefits of a plant-based diet. I also educated myself about the horrors of animal farming (factory, or otherwise). I made a new set of lifelong, like-minded friends. I started this blog that is followed by thousands (and has helped at least five people either go vegan or think about going vegan). I learned how to plan, prepare and plate tasty vegan cuisine (so much so, that I recently had a screen test for the Food Network to appear on one of their shows). But, most of all, I learning about me. 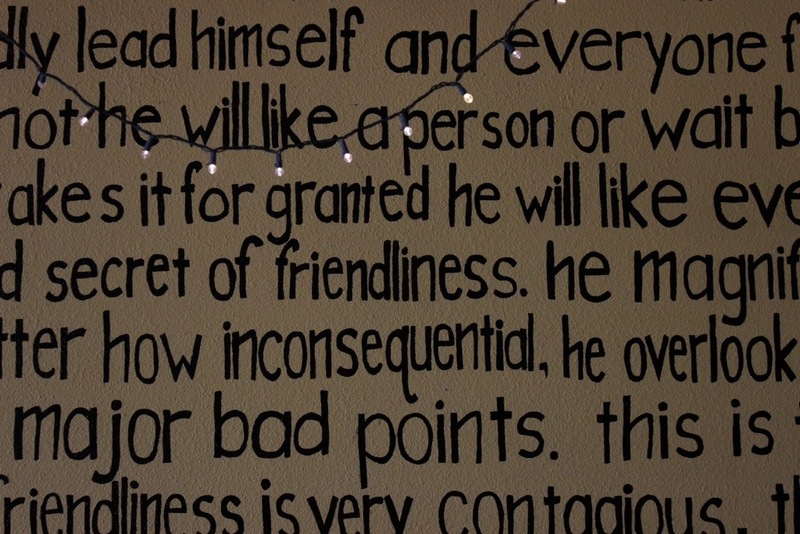 About who I really am and what is important to me. About being healthy, alive and vibrant for Jen. About maintaining a healthy lifestyle for our 10-month-old. Being vegan has benefits that go way beyond ever having to eat meat, dairy, or eggs again. Now, on the eve of a new year I am asking everyone who reads this blog who IS vegan, to please share the link and I’m asking those of you who are vegetarian or omnivores to try to do as I did and go vegan. For one month. Wake up tomorrow morning committed to living more compassionately and thinking about what you are eating and go vegan. For one month. Take control of your weight, your health, your heart, and go vegan. For one month. Dedicate January as the thirty days for taking a break from meat, dairy, and eggs. Prepare meals loaded with fruits, vegetable, and whole grains. Buy organic and non-GMO whenever possible. Challenge yourself with delicious and nutritious recipes that rethink what you thought about eating well (my favorite right now is One Green Planet). So on the edge of a new year, I ask you to stop for a moment and consider it. For your health, for the environment, for the animals, but mostly for me. Because, I care about you. Phoenix, Arizona needs more vegan restaurants and I’m not talking about restaurants with vegan options, I’m talking 100% vegan restaurants. A city the size of Phoenix should have a couple dozen. So far, I’ve found two. And Green New American Vegetarian (in spite of its name) is one of them. And it’s worthy of a visit if you’re in the Phoenix/Scottsdale/Tempe area. We were meeting two vegan friends and their (not vegan) kids for lunch and decided to check out Green in Tempe. Located in the corner of a small strip mall (next to Salvation Army), the little tucked away cafe was bustling with patrons at 1:00 on a Saturday. A very long line that never got shorter, while managing to move quickly, led us to the front counter where you place your order, pay, and are given a number to bring back to your table. While the atmosphere is laid back, to say the least, there seemed to be good turnover and as many people as there were in line, there seemed to be that many seats. Both salads were delicious and the tofu was cooked perfectly. The added crunch of tortilla strips in the Ranchero Salad was a nice surprise and each oversized bowl would make an excellent lunch. Thinking nothing would top my Buffalo wing craving more than the wings at Eden, the wings at Green were “meatier” and spicier and a perfect texture. I think the serving included a dozen bites (for $5) and I would easily get addicted to these if Green was located in Ithaca. Our lunch was sweetly finished with a soft-serve soy ice cream and a very thick peanut butter and chocolate bar that was so sickeningly sweet I almost couldn’t eat it. Reasonably priced and very satisfying, I would say you should check them out on N. 7th in Phoenix and on N. Scottsdale Road in Tempe. And check out their website at GreenVegetarian.com. As an aside, the non-vegan kids ate “chicken” nuggets, French fries, and a “cheese” quesadilla … and they loved every bite. Feeling festive in the shower this morning (which often happens when I’m in the shower), I was singing the “Twelve Days of Christmas” when it dawned on me just how un-vegan that song truly is … what with all the bird giving and maids a’milking and whatnot. So, I’ve taken the time to rewrite this timeless classic to be more a lot more bird-friendly and to have a lot less teat pulling. 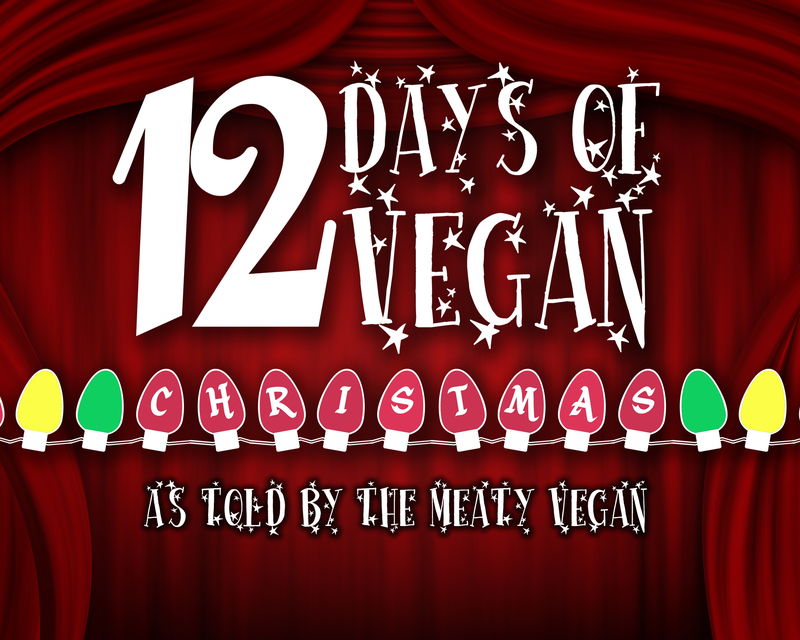 Please feel free to print out and gather up vegan carolers and sing to all the omnivores in your neighborhood. and a day at Farm Sanctuary! In that first year of being vegan I was also longing for all my “old” foods. I would attend vegan dinners and complain endlessly about missing this or never going to be able to eat that again. I was very, very reluctant. Annoying actually. The first year was filled with longing while the second year was filled with learning. I hadn’t made the connection until about 16 months vegan. I had watched all the movies, read all the articles, and filled my head with as much information as I could handle about animal treatment and cruelty and it still wasn’t sinking in … until that 16th month. I was on Facebook (which I am known to do from time to time) and a post came across my newsfeed for a “Bacon Festival” being held in Buffalo. I clicked the poster out of curiosity and the headline across the top read: NOW WITH MORE PIG! Something about that headline triggered a reaction in my very soul. Those four words, for me, made the connection. The festival coordinators and pretty much anyone attending this event probably got a charge out of that headline. It’s so funny, after all. But I got an emotional reaction. Didn’t they read what they were writing? 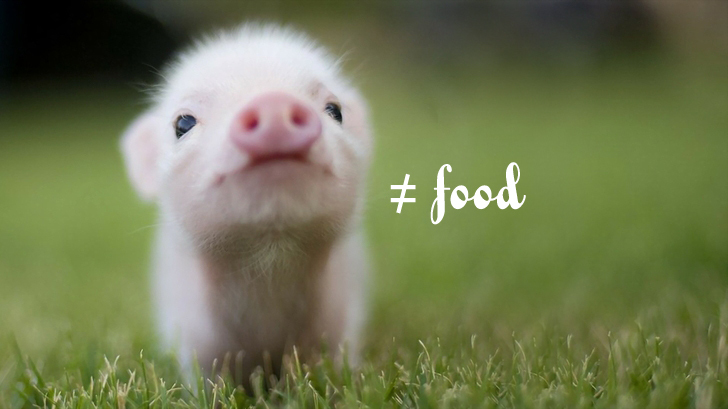 Pigs are intelligent, sentient beings with feelings. Watch one video of pigs being slaughtered and you’ll literally see the fear in their faces and hear them crying out for help. At that moment, being truly vegan came into clear focus. I had made the connection. There is no such thing as a humane way to kill any animal. There are no benefits of free-range or cage-free, or whatever, when the end result is an animal being cornered into a pen, yanked by their back legs, and having their throat slit. This, by the way, is the humane way to do it. Omnivores choose to ignore this or simply look the other way. Or, not care. I had already made a lifelong decision to never eat another animal (or animal product) and at that point in being vegan, I was never more sure of this decision and, today, I am creating recipes and foods that blow away anything I used to eat. Savory and satisfying with no meat, dairy, or eggs. The level of culinary enjoyment I get in developing foods without these ingredients, knowing that no animals are being harmed … is life-changing. Animals have as much right to life on this planet as we do and there is no reason, NO reason whatsoever, to ever eat an animal. None. It seems we always have garlic in the house. We are fortunate enough to get most of our vegetables from a friend who has a small farm and she seems to be able to provide us with an endless supply of garlic. This is a very good situation. As much as we use the garlic, we always seem to have more fresh garlic on hand and it makes an appearance in so many of my recipes. 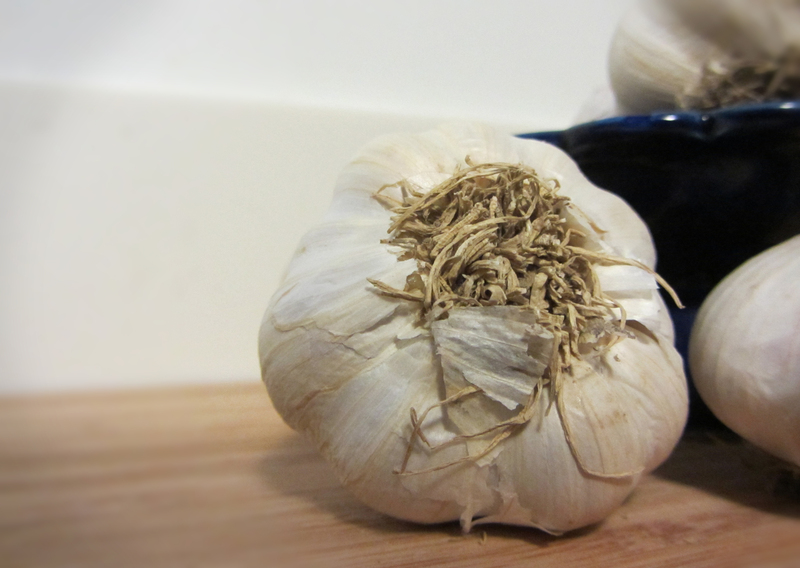 Garlic is not only delicious but it’s also one of those medicinal foods that is so good for you (setting aside the fact that it keeps vampires at bay, because this is obviously the best part of garlic). I love breaking off a clove, smashing it with the side of my knife and peeling away the skin to reveal the soft, light tan insides. Chopped, pressed through a press, or cut in half and added to hot oil to give it that distinct garlic flavor, this member of the onion family always adds depth and character to any dish. One of my all-time techniques when working with garlic is to roast it. You end up with a creamy, steamy, garlicky butter that can be spread onto baguette or added to any number of dishes. To get started, find a huge cluster of elephant garlic and squeeze off as much of the parchment/outer skin as possible.Then, with a very sharp knife, lay the garlic on its side and cut off the top 1/4-1/2″ of the garlic, exposing the tips of the meaty insides. Then, cut side up, wrap the garlic in tin foil, leaving the top open slightly. Drizzle in good quality olive oil (1 T) and roast in the oven for 20-30 minutes at 400°. Your kitchen is going to smell amazing and as you take the roasted garlic out of the oven and slide your knife into each section and pull out the soft center. You’ll enjoy this hot garlic on your favorite foods or blended with vegan butter or potatoes. 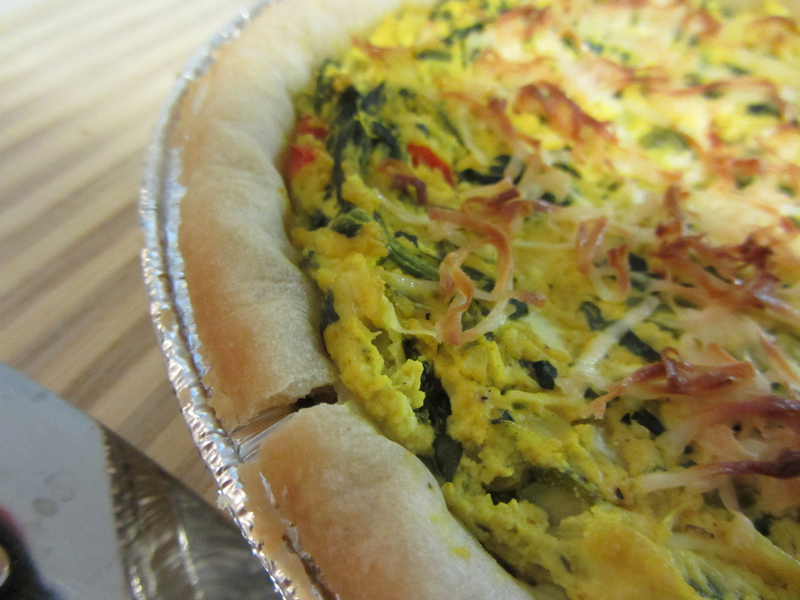 Gluten-free Vegan Spinach Quiche … Anyone? I promised Ted Allen (of Chopped fame) I would make him my famous gluten-free, vegan, spinach quiche for brunch. Since he wasn’t coming over anytime soon, I made it for Jen instead. As an omnivore, I always was expert at whipping together (pun intended) a delicious morning quiche and now I needed to create the vegan version of it. Since I had the foundation of my delicious tofu scramble already perfected, it took little effort to add the other required ingredients and spices to create this round masterpiece. It turned out amazing and I’m sure if Ted ever makes it over … he’ll love it, too! It’s so satisfying knowing that this classic dish can be prepared without eggs or dairy. A healthy and vibrant version that plates beautifully with rosemary rustic red potatoes and a cup of Gimme! coffee. Discovered this website that allows you to “test” out t-shirt designs. Upload the design, set a order number and see if you can reach that number. Crowdfunding your design. If you reach the quantity (100) by the deadline, the shirts get printed and shipped. If you don’t, the campaign ends and no one gets charged. Think I can reach 100? So … you may as well make me happy and place an order to see what happens! CLICK HERE! Testing out a t-shirt design and wondering what the vegan community thinks (click image for enlarged view)! Would be available in white on dark grey (or should it be kale green?) in three sizes (S/M/L). Made in America and 100% cotton. Probably sell for $19? Yes? Or, no? 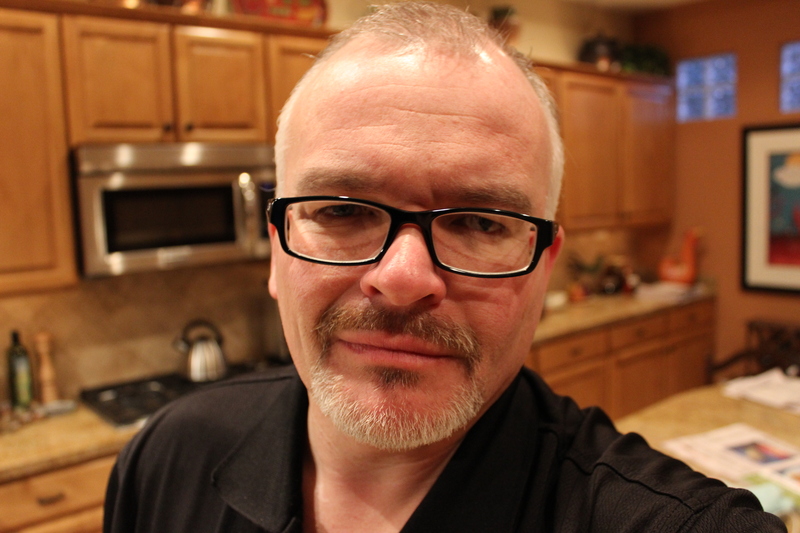 Comment on this post or email me directly (ericcharleslindstrom@gmail.com). UPDATE: You can now purchase it here! Gather ’round kiddies and let’s take a look inside this fun-filled farm! “Murder Farm” brings all the excitement and horror of a real working farm to life through animated tortures, killings, and furry-animal murder! This colorful book puts the “laughter” back into slaughter. Delight in all the steps it takes to turn a pig into bacon … a cow into a burger … and, the most fun, a chicken into a nugget! Available now wherever fake books are sold. Brought to you by the USDA and FDA and the EIEIO.